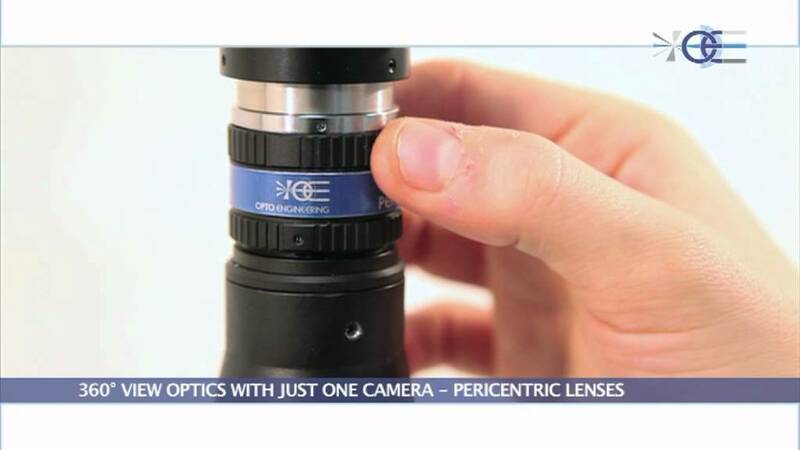 Opto Engineering Hole Inspection Optics PC HI have been developed by Opto Engineering to enable the perfect viewing of holed objects, cavities and containers. Unlike common optics or so called “pinhole lenses which can only image flat fields of view, hole inspection optics are specifically designed to image both the bottom of a hole and its vertical walls. Thanks to the large view angle (>82° degree) and innovative optical design, these lenses are compatible with a wide range of object diameters and thicknesses. Hole inspection optics are therefore the solution of choice to inspect a variety of different object shapes such as cylinders, cones, holes, bottles or threaded objects.